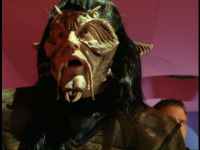 - The extras feature an alternate ending to this episode in which Raxil returns to Moya with John and D'Argo and is subsequently kicked off the ship at the next planet. 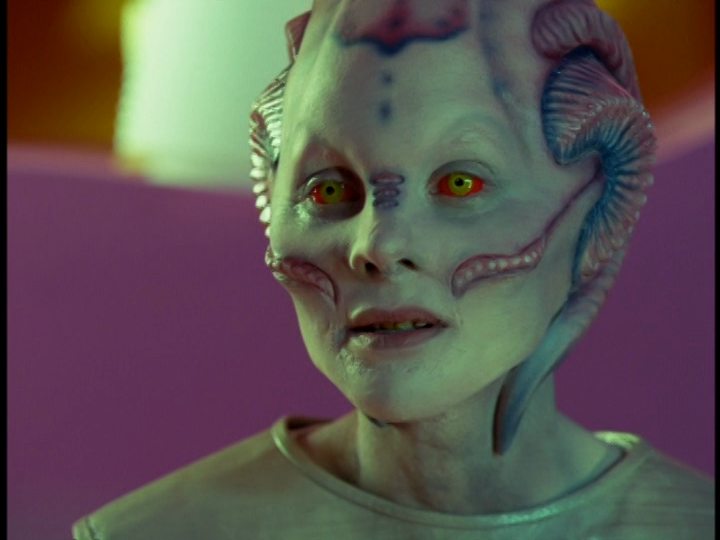 - Raxil was played by Ben Browder's wife, Francesca Buller. - John: "How can you say that?" D'Argo: "Because it's true. You're exactly like a Sebacean." - D'Argo encountering Harvey while he and John use the hammerhead alien's tentacles. - Raxil revealing that she plotted and schemed John's and D'Argo's involvement in her quest to fell Fe'tor because of their reputation for blowing up a Shadow Depository. Another flop. This episode is basically a repeat of the last one's pointlessness except on Moya instead of Talyn. Annoying aliens of the week, weird directing, and manufactured danger. I'm all for some well executed whimsy, but this wasn't well executed at all. This is one you have to either love or hate. I, for one, love it. Nothing too deep, but I liked it - the cuts and disposition worked for me, and it had loads of fun little things.